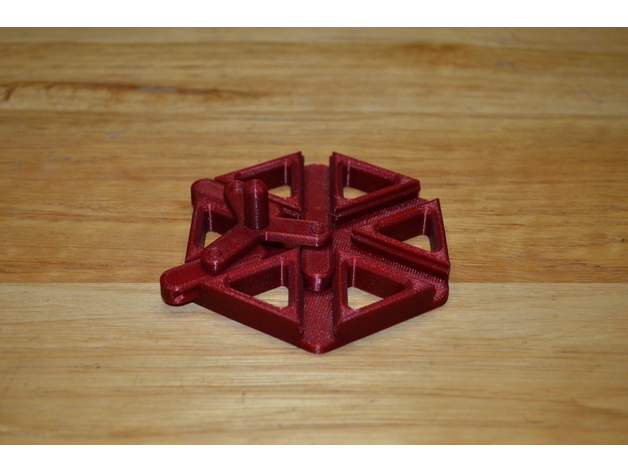 Pocket Mechanism – Trammel of Archimedes #3DThursday #3DPrinting « Adafruit Industries – Makers, hackers, artists, designers and engineers! This is the first instalment of the Pocket Mechanism Series! It’s quite addictive to play with, and there’s a certain beauty in the many moving parts and how they oscillate in time. It’s made up of three different parts which are all print-in-place, and require no support. Simply insert the three pellets into their individual tracks on the hub, and press fit the handle onto the three pellets.